I’ve been a fan of the Pink Gin & Tonic – described as a Gin & Tonic with a dash of Angostura Bitters or a Pink Gin with added tonic – for at least a decade. In fact, it was once my go-to post-work drink. Some brands have created a Pink Gin (a combination of gin and bitters), so you only have to add tonic, but – until now – there has never been a tonic where the flavours of bitters have been conveniently added. That has changed in the summer of 2016, with the release of Fever-Tree Aromatic Tonic Water, which is made with angostura bark. The tonic also has fresh citrus, cardamom, ginger, and pimento berry (All Spice) as ingredients. It is worth mentioning that Angostura Bitters made by the House of Angostura (the bottle with the over-sized label) does not actually have angostura bark as an ingredient, although another old brand of bitters, Abbott’s, did. Both have long been associated with the health and well-being of the sailors of the Royal Navy, with surgeons prescribing angostura bark as an alternative or supplementary anti-fever treatment to quinine bark. As such, it seems like a natural companion to the natural quinine in Fever-Tree Tonic. Nose: Fragrant citrus, along with cola nut, cherry blossom, and woody, aromatic spice. Fizz: A medium-level of fizz, with a pleasant intensity on the tongue as the bubbles burst. Taste: Exotic spice to start, then almond and wintergreen, before moving onto cherry and citrus blossom. Pimento and cardamom then make a subtle appearance. This has a long, dry citrus finish with deep and clean, bitter, earthy notes. 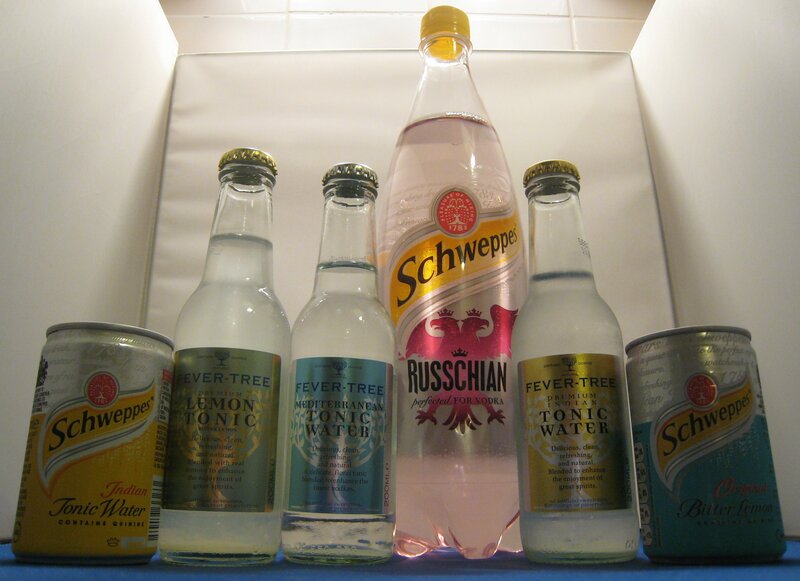 Fever-Tree suggest that their Angostura Tonic goes particularly well with juniper-forward gins, so I thought I’d try it out with some of my favourites. There is a pleasant harmony between the gin and the tonic, likely in part because of some shared ingredients, including cardamom. There is a sweet lift at the end, accompanied by woody spice notes. The extra strength of flavour and alcoholic power from this combination really gives the drink an additional “Wow!” factor. The gin adds a clean, crisp basis to the drink, whilst the tonic adds a lively character with citrus and spice. Refreshing to the last drop and well-balanced with a bitter finish. The crisp juniper of the gin counteracts the sweeter spice notes of the tonic, resulting in a deep and complex flavour, and a particularly dry Gin Tonic. The light, woody notes and strong botanical flavours work well with the citrus and woody spice of the tonic. The result is a flavoursome mix that still provides lots of refreshment. Even though the tonic has a strong character, this punchy gin holds its down. The resinous vanilla and juniper wood notes of the gin, along with the floral rosehip, are neatly complementd by the spice and citrus of the tonic, creating a well-rounded drink. Fever-Tree Aromatic Tonic is a great addition to their range, getting the balance between extra flavour and mixability just right. It is also one of the tastiest tonics to drink on its own, my favourite since I tried Fever-Tree Mediterranean. It also works well when mixed with vodka and I’d love to try it with aquavit. All-in-all, this is well-worth trying and will be available in Waitrose from July 2016. From the articles of the last few weeks, it’s clear that the gin industry is a lively and growing industry, but what about gin’s perfect partner, tonic water? As you can imagine, some individuals have decided to focus their attention here, rather than with the juniper spirit itself, and I applaud that. So, today, let’s look at one of these new products: Fevertree Elderflower Tonic. This follows on from the boutique brand’s Original, Mediterranean and Lemon Tonics, and is made using oil essences from hand-picked elderflowers. Tonic connoisseurs may recall that we reviewed Thomas Henry’s Elderflower Tonic here, and it’s surprising to me that, given the fondness of the British population for this flower, that there hasn’t been a British elderflower tonic before now. Large bubbles and a medium-level of fizz. Sweet elderflower to start, then citrus, followed by a clean, dry bitter notes of quinine on the finish. Good balance of flavour. Works superbly – rich and juicy, succulent and refreshing. This works very well with Plymouth; it has a particularly lovely finish, making for a very moreish drink, indeed. Absolutely superb: rich and juicy, and very flavourful. The elderflower comes through strongly, but there’s an additional freshness to the drink from the citrus. Lovely and smooth, too. 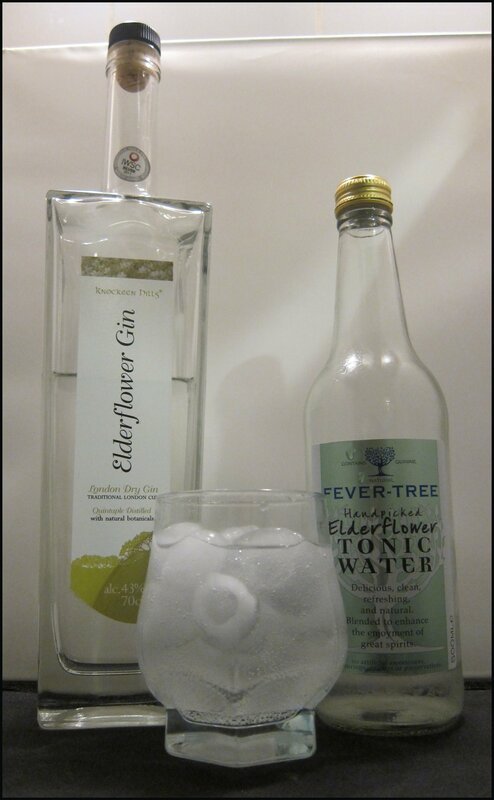 I think Fevertree Elderflower is a great addition to the Fevertree Mixer range and is also one of the nicest tonic waters to drink on its own as a soft drink. Knockeen Hills Elderflower Gin (43%ABV) is part of Knockeen Hills a family run company established in 1997. In addition they make a Heather Gin and a range of Irish Poteens. All products are, unusually, made with Irish Whey Spirit. Phew! It’s warm today. During the previous week-of-Summer that we experienced back in June, I frequently found myself drawn to a whisky & ginger ale, mixed in a lovely, tall glass filled with ice. Deliciously cooling and refreshing, often with a lively kick of ginger, they’re perfect for a particularly warm day. But which ginger ale to use? Slightly bewildered at the choice available in the fridge, I decided to, in the style of DTS, explore a few different variations of the Whisky & Ginger in a blind tasting. Given the dramatic extent to which whiskies can differ from one another, I thought it best to try three different whiskies alongside each of my three ginger ales. Each drink was mixed in a 2:1 (Ginger:Whisky) ratio. My notes can be found in the table below, in which – due to limitations of space – ‘N’ stands for “Nose” and ‘T’ stands for “Taste”. A wonderfully peaty blend of Laphroaig and Speyside malts (40% ABV). Fevertree N: Generally sweet, with warm ginger and a hint of sea air at the end. T: Not overly fizzy. Slight hint of peat, followed by a light, syrupy sweetness that – fortunately – never gets too sugary. Slightly dry towards the end. Soft, but flavourful. 8 N: Sweet, ginger like gingerbread, with a treacle-like sweetness. Hints of the sweeter notes of the whisky, with vanilla and sweet spice. T: A good balance, with an interesting battle between the some sweeter and dryer notes; the taste switch between the two. There’s a pleasant warmth on the finish, but it’s quite short. [ 6.5 N: A dry nose with lots of ginger and lovely notes of peat. The two notes go together very well; it alternates between moderate ginger and moderate peat. T: Vigorous ginger, especially on the finish. Like the nose, there are strong notes of both the whisky and the ginger that go together remarkably well. The finish is warm and felt in the stomach, and there are interesting hints of pistachio and toasted almonds. Delicious and vibrant – my favourite! Canada Dry N: Peat and sea air, with more raw ginger root or powder than sweet ginger. T: Far more fizzy, with a much more dominant flavour of the ginger ale. The whisky, which was stronger on the nose, comes through less on the tongue, which is covered with a creaminess from the ginger ale and an unpleasant artificial sweetness. 5 N: Straw, wood, vanilla and sweet ginger. T: Very fizzy, followed by wood notes from the whisky and sweetness. Then the palate clears and there’s an ever so slightly sour, bitter edge to the finish, which isn’t very pleasant. 5 N: Mainly Islay peat, with a hint of spicy ginger at the end. Whisky is notably more dominant than in the other drinks. T: Mainly whisky notes, with lots of peat and an almost “seaside” flavour: a salty, savoury hint that is strong on the edge of the tongue. After a moment, this fades into a woody sweetness, before faint ginger appears on the finish. Fentimans N: Very little on the nose, almost like the two ingredients cancel one another out. Faint wisps of whisky. T: Quite fierce bubbles, but less than with the Canada Dry. The ginger notes fade into a lovely finish on the tongue and there’s substantial warmth in the stomach. Less sweet and a good balance of spirit and ginger, but some of the whisky notes are lost. 6 N: Dryer, with more warm, spicy ginger on the nose. Not much whisky. T: Very spicy, indeed, with reasonably aggressive bubbles. An immediate burst of spicy ginger on the tongue is nicely supported by the warmth of the whisky. Although any deeper whisky flavours don’t manage to fight their way through the ginger ale, this still makes for a spicy and enjoyable drink, with a “just right” level of sweetness. 7 N: Dryer nose, with fainter peat and no strong ginger notes, but rather a lighter, more citrusy “ginger ale” note. T: Fresher and more fruity, followed by quite vigorous, hot ginger*. The peat of the whisky battles a little with the ginger, but there’s less harmony between the two flavours than in the previous two drinks; the ginger is just too strong. This was a wonderful experiment that I’d definitely recommend to others now that the sunshine is back! I’d like to try a few more ginger ales in further tastings, but conclude that my favourite ginger ale of those that I tried was the Fevertree: I liked how it seemed to get the balance just right between adding some fiery ginger and still letting the whisky shine through – I shall have to try it with some other whiskies over the coming weeks. * Although I do appreciate that this was my nineth Whisky & Ginger by this point, so, despite breaks between rounds, the ginger notes from previous drinks may have built up on my palate. 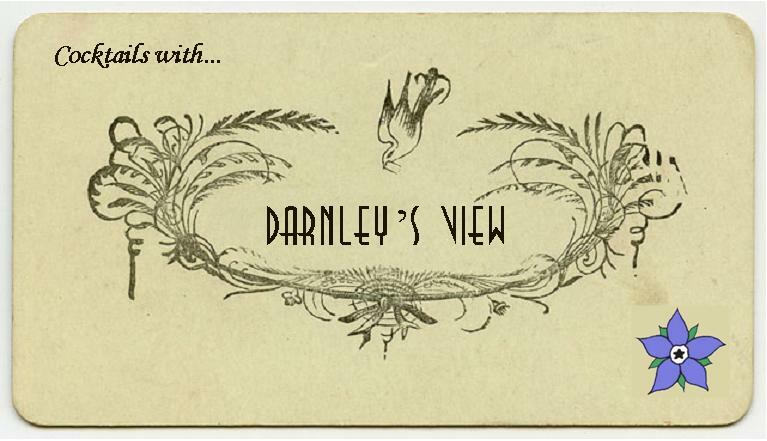 Darnley’s View is a Scottish Gin* made by the Wemyss Family (pronounced weems) who also own Scotch and Wine companies. The name Darnley’s View originates from a stay of Mary Queen of Scots at Wemyss Castle (the family’s ancestral home) It was during this visit that she first saw (got a view) of her future husband Lord Darley through a courtyard window of the castle. It’s worth noting that other Scottish Gins such as Hendrick’s and The Botanist also use Elder as a botanical and, along with heather, these botanicals seem to be quite popular with Caledonian gin-makers. Fruity with some freshness but the drink falls flat in terms of flavour. A good combo with both the sweetness and the bitterness you expect from a Gin & Tonic. As the ice melts a little the drink certainly improves but, like the 1724, it would be much better with a fruit garnish to add a little extra zip. Crisp and fizzy, a truly classic Gin & Tonic. It has a more simple flavour profile than some of the others but was very refreshing. It had a good flavour balance, the floral notes of gin are not overpowered and the drink is not too sweet, cloying or bitter. Excellent! Quite smooth, light and fresh. Good for a really hot day. A little lacking in flavour but this could be rectified by adding a juicy wedge of lemon. A good fizz, and very flavourful;. The lemongrass in the tonic adds some extra citrus to the drink, which is quite welcome; no need to garnish with lemon here. Some folks may find the citrus and the sweetness overpowering but in general rather good. In addition here are some extra tasting notes; for the gin (neat) and in a Martini, well how can you review a gin without trying it in a THE mixture of Gin & Vermouth? Initial flavours of Juniper and Citrus with the faintest hint of milkiness. Despite what is generally a classic nose, the taste of the gin is quite contemporary. It is quite sweet with juniper and a spicy note at end which is almost peppery. Very smooth with minimal alcohol burn/bite. Some floral elements too. Mixed with a dash of water the flowery flavours really present themselves. Elegant, one of the best Martinis I have had for a long time. Classic but with a modern delicate and floral edge. The juniper and subtle flowery notes mix well with Dolin Vermouth. 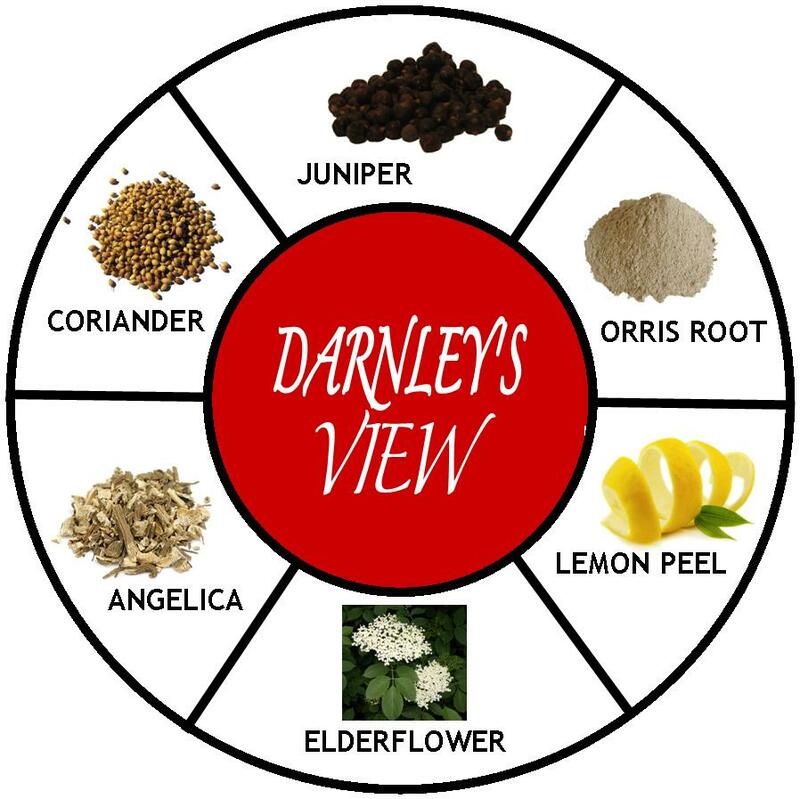 I enjoyed trying Darnley’s View gin with it’s overall characteristics being that it is a relatively simple flowery and slightly soft gin. Certainly has the potential to be more refreshing than some of the more botanical-heavy gins. 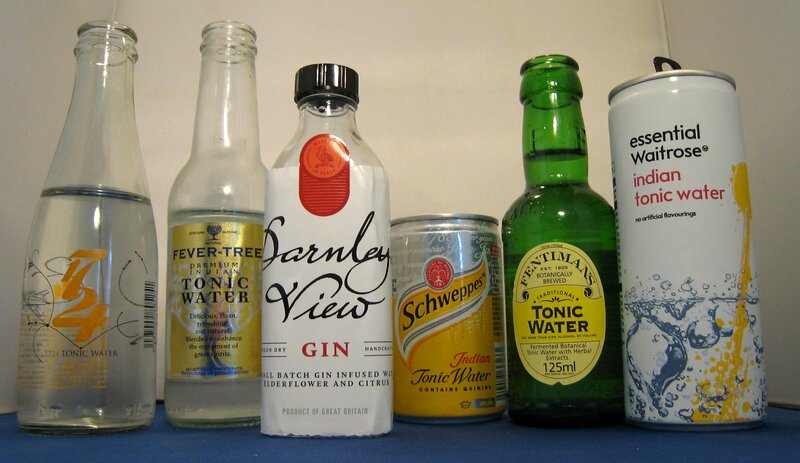 In terms of tonic, for me Waitrose was the winner, followed closely by Fevertree. For our coverage of our Tasting of 11 Scottish Gins, click here. *Scottish as in made in Scotland, technically it is categorized as a London dry Gin – for details of how the categorizations work, click here. ** These tasting notes reflect my opinion when mixed with Darnley’s View they may not be the same as my overall view of the tonic waters. 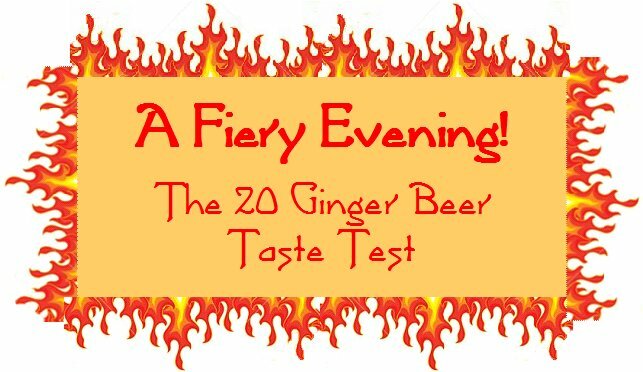 Ginger Beer Tasting – 27 (previously 20) Varieties put through their paces. I’ve got a little gin research project going on that is due the end of February. The survey is simple and takes 90 seconds please help us out by completing the survey. 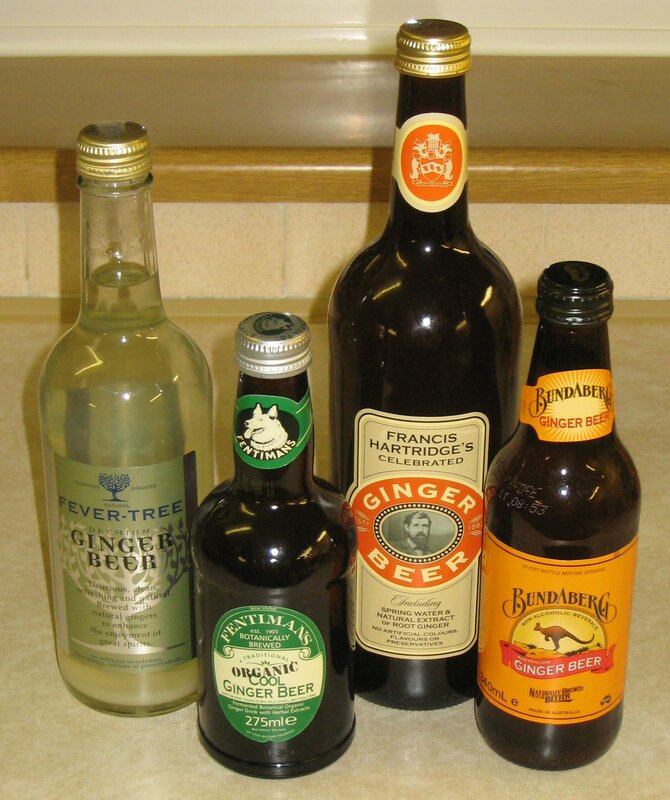 This article has been updated for Ginger Beers 21 -27 please scroll to the bottom. One of my first favourite cocktails was the Moscow Mule; its easy construction and readily available ingredients, as well as my previous fondness for ginger beer (and ale), made it very attractive to me. 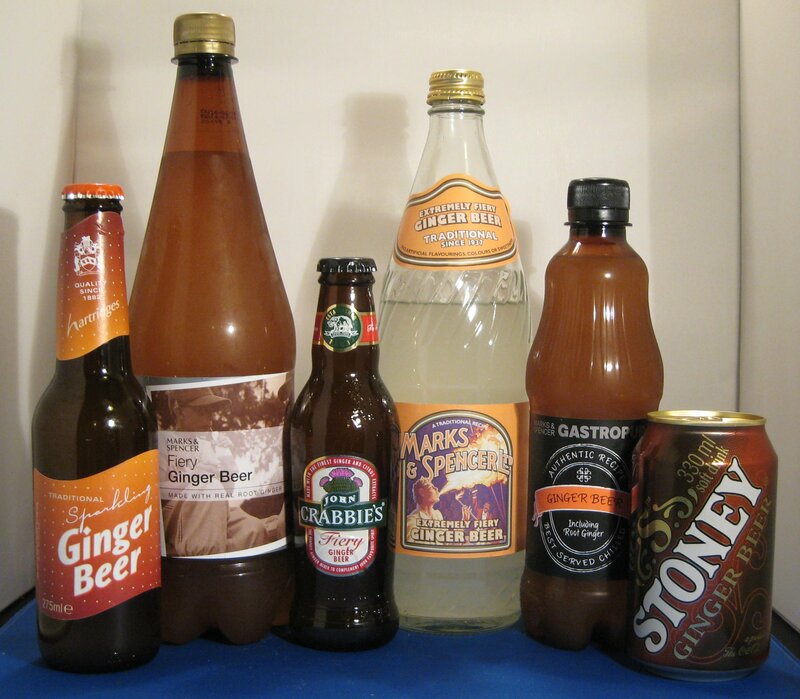 The ginger beer market seems to be split into four distinct types: mass-market (Britvic, Schweppes, Old Jamaica); boutique brands (smaller, but still readily available, e.g. 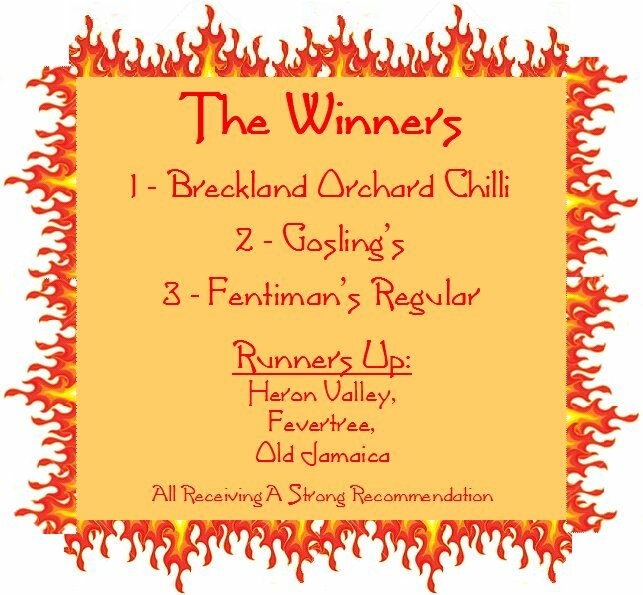 Fentimans and Fevertree); small batch (Breckland Orchard & Luscombe); and supermarket own-brand. The ginger beers that we selected to try on this occasion were tasted on their own without ice, but had been chilled beforehand. The panel was made up of four non-industry enthusiasts all ready to put their taste buds to the test and hoping for a non-repeat of Donoghue vs. Stevenson. Made by James White, this was the only still Ginger Beer we tried and had the look and taste of cloudy apple juice. It was considered by the panel to be very drinkable and very tasty. It lacked a strong ginger flavour and didn’t really taste like a typical ginger beer, although I think that is how it is meant to be. Simply as a soft drink, this would make a perfect summer cooler and I would heartily recommend it for that. One of the panel summed it up nicely with, “I could drink this all day.”. A very sweet variety; nice and bubbly. What was unusual about this one was that it had a nose of Terry’s Chocolate Orange; it was reminiscent of orange soda. There was quite a lot of ginger, but overall it was felt that the ginger was too weak and the beer too sweet. A very pleasant flavour, with a good strong ginger presence and a taste that lasts for a long time. This also improved noticeably with ice and the panel thought it would be a good drink to accompany a meal. Available from Waitrose, Tesco, Sainsbury & Morrisons 4 x 275ml for around £4.25 As well as large variety of Independent Retailers, if you have trouble finding some, Fentiman’s offer a personal postcode search service to help you find you nearest stockist; contact them via their website. From the creators of IrnBru, this ginger beer had a smell that the panel didn’t like very much. It rated average on terms of warmth and general flavour, but the initial taste was disliked and its bitter finish divided the group. We much preferred #17, which is also owned by Barr’s. This is a ginger beer from Australia. Before the tasting, I would say that this was my favourite, but, upon reflection, I realised that although it a lovely soft drink in its own right, it isn’t really a typical ginger beer and, as such, doesn’t mix like one either. The rest of the panel felt that it was quite sweet, but lacked a lasting flavour and the gingery fieriness that they were looking for. Great on its own, but not for mixing. A relatively recent addition to the Fentiman’s range, this organic variety was the first of two “cool” Ginger beers that we tried. 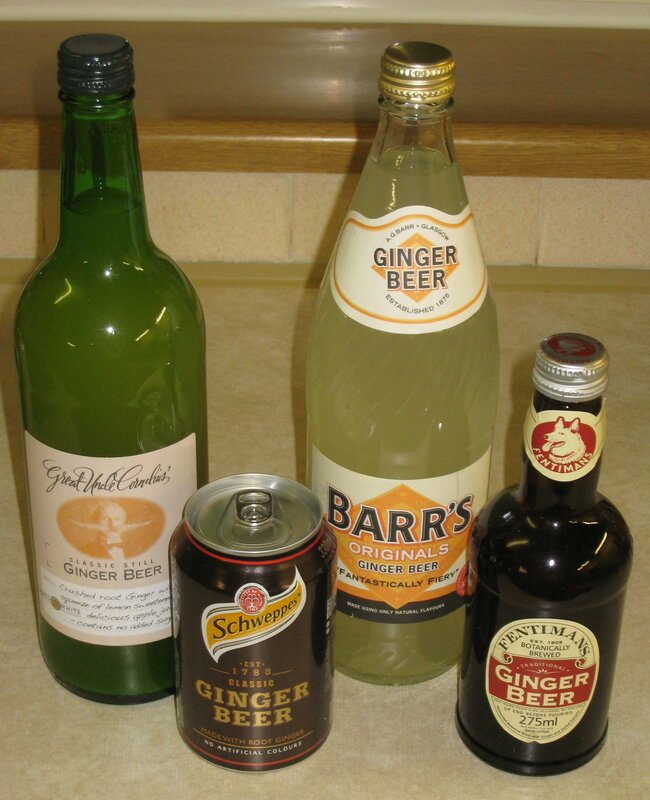 The notion of a “cool” ginger beer is that it has a more subtle ginger flavour and is aimed at those the may find a typical ginger beer a touch too firey. Fentiman’s Cool tasted strongly of vanilla and buttercream and reminded one of the panel of custard cream biscuits. Quite a long flavour with a mild fiery kick,it was a little watery on the finish. Quite nice, but the panel felt that it lacked something. Available at various Independent Retailers, if you have trouble finding some, Fentimans offer a personal postcode search service to help you find you nearest stockist; contact them via their website. Made by a family-owned company that has been making soft drinks since 1882, this variety is part of the Francis Hartridge Celebrated Range, named after the founder of the company. 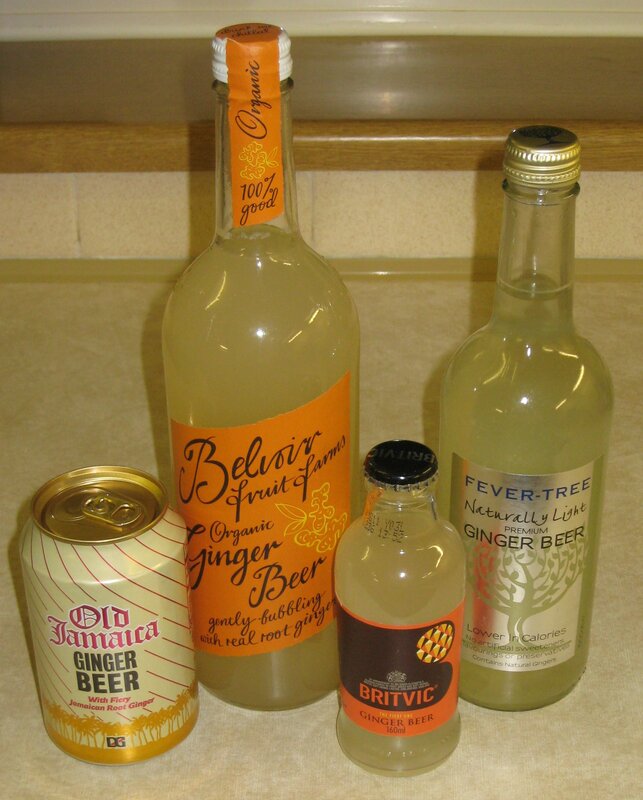 It had one of the best fizzes of all of the ginger beers that we tried and certainly smelt like ginger beer. There was a medium level of ginger on the flavour and it had a strong and long warmth to it. There is also an excellent root beer and a good quality dandelion and burdock in the same range. Update: I tried Hartridge’s Regular Ginger Beer today, in the interests of completion, here are some tasting notes but it has not been included in the already-determined rankings. This much more firey than the Celebrated, it has a lovely lip-tingling feeling and is rather quaffable, if I’d had this found this earlier (for the tasting) it would have definately been a contender. A familiar face when it comes to premium mixers, this was popular amongst our panel. It had a very strong ginger flavour and was rather fizzy. There were some citrus notes also and it was certainly enjoyed by the panel; just be careful not to get the bubbles up your nose! We thought that this was a subdued version of Fevertree’s Original; unless you specifically want a low calorie version, I would stick to the regular. However, if you want a diet ginger beer, this is not a bad option. A firm favourite in many pubs and bars across the land, I first had this when I was given it accidentally instead of ginger ale; it was a nice surprise, though. It had a savoury nose and was rather sweet; some of the panel found the sweetness rather artificial (checking the bottle later, I found that it does contain aspartame). The flavour is relatively low on the ginger, but light and rather mixable. Rather perfumed, with some hints of elderflower, Belvoir tasted more herbal than most of the other ginger beers, although it also had some fiery ginger notes. It wasn’t very fizzy at all, which may appeal to some. The panel quite enjoyed this and thought that it had a nice aftertaste, but when considered against the others, it was only upper-middle-of-the-road. Extremely bubbly, with a strong sweetness underneath and a fierce fieriness. Very popular with the whole panel; a favourite and generally considered to be what a ginger beer should be. This had a perfumed nose and a creamy texture. It had a medium amount of ginger and a taste somewhat reminiscent of butter cream. Certain resemblances with the Fentiman’s Cool. Available Online from Luscombe’s website, Able & Cole, Riverford Organic and The Virtual Farmers Market. In-store at Harvey Nichols, Selfridges, Fortnum & Mason and Harrods. A very refreshing drink with a savoury nose and flavour (but not herbal). We thought that this was quite a simple drink, but you certainly get a lovely flash of fiery flavour. It was a pleasure to drink on its own and mixed well, too. With a citrus nose of orange and lemons, this reminded one of the panel of bonbons. As for the taste, the whole panel loved it; we thought that it had just the right balance of sweetness and fieriness. Both refreshing and warming, the chilli comes through at the end, in a similar way that it does in chilli chocolate, producing a unique twist on a product that, by all accounts, was already pretty good. If you haven’t tried this yet, do. Our highest recommendation. Starting with an enticing nose, this had a strong, fiery heart. Some vanilla and butter cream flavours in addition to the ginger. This was also one of the most warming. I know a bartender who forever sings the praises of this product and I can see why. Also owned by Barr’s (4), this was very popular with the panel. It was quite sweet and had a zing of ginger. From my own experience, this had a taste that was quite close to some of the supermarket own-brands that are available. It was lovely served over ice with a splash of lime cordial. Created by Goslings Rum to be the perfect partner for their signature cocktail, the primary purpose of this ginger beer is to be a good mixer. It was pleasantly fizzy, with small bubbles. There were subtle notes of herbs and savoury, with a good balance of sweetness and warmth and a pleasant aftertaste. There was a good amount of ginger in the flavour, but it wasn’t overpowering; this isn’t too surprising, given that it was designed as a mixer, but, even so, it was a firm favourite of the panel to drink on its own. 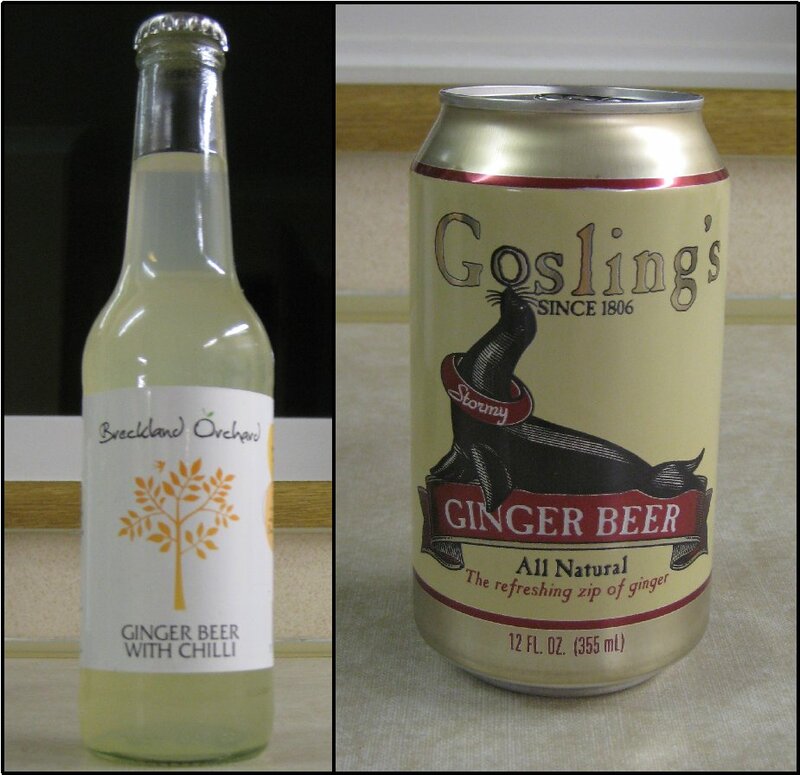 Although not yet available in the UK, Gosling’s Ginger beer will hopefully launch later in 2011. Very close to the Original: very bubbly, with a fiery kick; it wasn’t too sweet and any flavour of artificial sweetness is minimal. Quite tasty. This ginger beer was quite dark in comparison to many others: it was almost ochre in colour. It started off in a similar fashion to the Bundaburg Regular, with a little burst of ginger, but the finish was full of artificial sweetness, which spoilt the whole experience. In conclusion, there does seem to be different flavour camps of ginger beers and, from our experience, different people will be attracted to different camps. 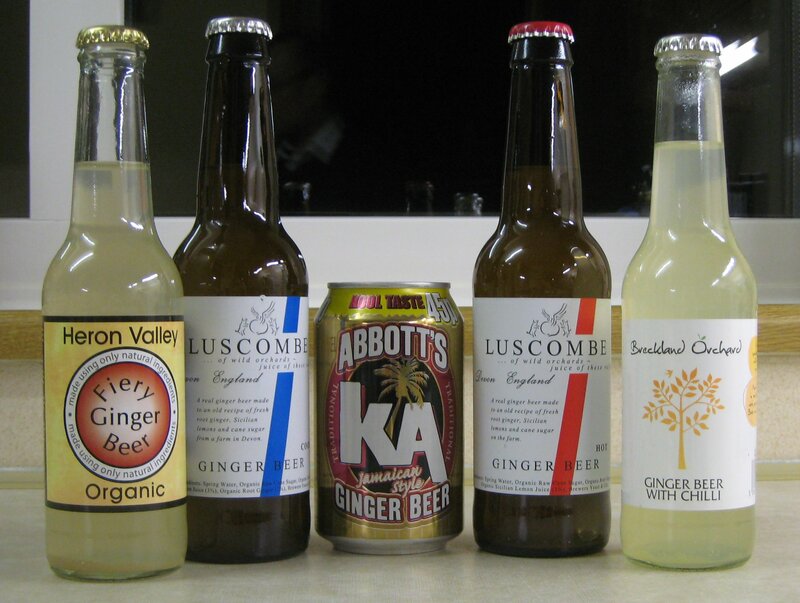 For a lighter, more buttery drink with hints of vanilla, the two “cool” (Luscombe and Fentiman’s) ginger beers and the Bundaburg would be worth a look. * None of the “Diet” versions that we tried contained Aspartame; however, it’s worth noting that Britvic (Regular) does. I have since come across a further 7 ginger beers. These were not part of the original tasting and so are not included in the rankings. Nonetheless here are some tasting notes. This is certainly fiery and, frankly, blows everything else out of the water. The fieriness comes at the cost of most of the other flavours, although I can say that sweetness levels are just right. 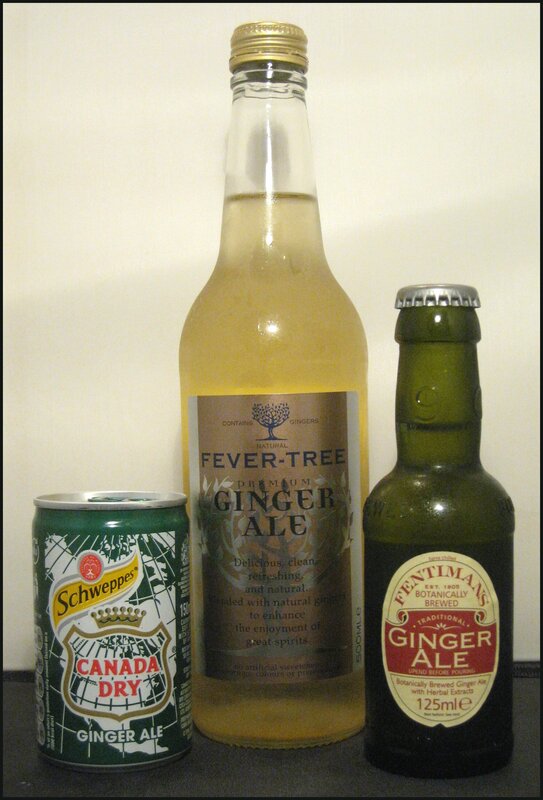 If you like ginger beer REALLY fiery, then give this a go. Available from Marks & Spencer £1.49 for 750ml. With a hint of chocolate orange creams on the nose, Mrs. B found this ginger beer particularly tasty. There was a nice amount of fizz and a good amount of fire, with hints of orange in the flavour, too. This ginger beer had a raw fieriness that is most definitely not for the faint-hearted. It was also quite fizzy and not too sweet, but, as the ginger leaves your lips tingling after a single sip, this is one for the hardened ginger beer drinker. This is pleasant enough: quite gingery and unusually dry for a ginger beer. The flavour profile is nicely balanced, if not a little underwhelming. This worked as a mixer, but if you want a soft drink on its own, I’d opt for one of the other two varieties from M&S. Available from Marks & Spencer £0.99 for One Litre. This is made by the Coca Cola Corporation and was kindly sent to me all the way from South Africa. Initially, it had a slight floral taste and was a little reminiscent of violet lemonade. This is halfway between a cool and a hot ginger beer (it has a reasonable fiery kick) and, curiously, the mid-notes are somewhat akin to Mountain Dew. Typical sweet ginger nose, quite lemony with a medium amount of ginger and warmth. There’s a little muskiness, but over ice or served ice cold this was quite refreshing. Available from Marks & Spencer £0.80 for 500ml. I quite like the new Crabbie’s it has a good amount of fieriness and is pleasantly effervescence, neither too fizzy nor to flat. The balance of sweetness is about right and it’s popular with a few folks I’ve shared a sample with. Available from Waitrose £1.99 for 70cl. Many thanks to: Love Drinks, Luscombe, Breckland Orchard, Fentiman’s, Heron Valley, Great Uncle Cornelius (James White drinks) for your kind support for this article. Some readers may have caught our Tasting of 17 Sloe Gins, but, in the in the interests of thoroughness, we did not just try these sloe gins on their own: we also tried them mixed in Long Peddlers, thanks to some bottles kindly sent to us by Fevertree. A Long Peddler Made with Fevertree Lemon Tonic (Bitter Lemon) and Gordon's Sloe Gin in a 2:1 ratio. Background and history on the Long Peddler is very thin on the ground. The recipe is simple: a measure of sloe gin topped up with bitter lemon; a bit like a gin and tonic. My best guess is that it was created as a cooler for the summer months so that sloe gin could be enjoyed all year round and it certainly achieves this purpose. I imagine the “long” came about because it makes a long drink, but the “peddler”? Your guess is as good as mine; maybe it’s a nice refreshing drink once you’ve finished a long cycle?? Recent research points to the fact that the Long Pedlar was original made using Hawker’s Pedlar Sloe Gin, it was a long way to drink the sloe gin. 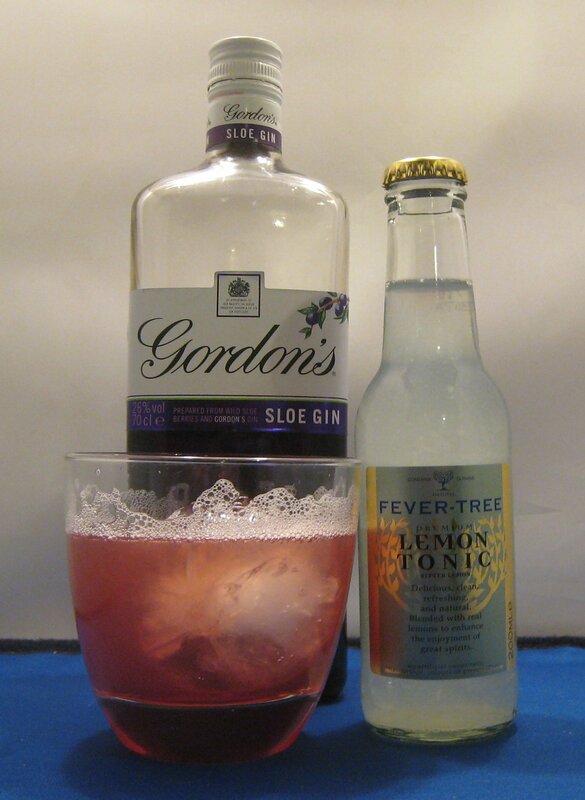 Either way, it seems to be an established drink among sloe gin drinkers and, when I was speaking to Fevertree, they also suggested making it with their Lemonade (Sloe Peddler) as an alternative to bitter lemon. 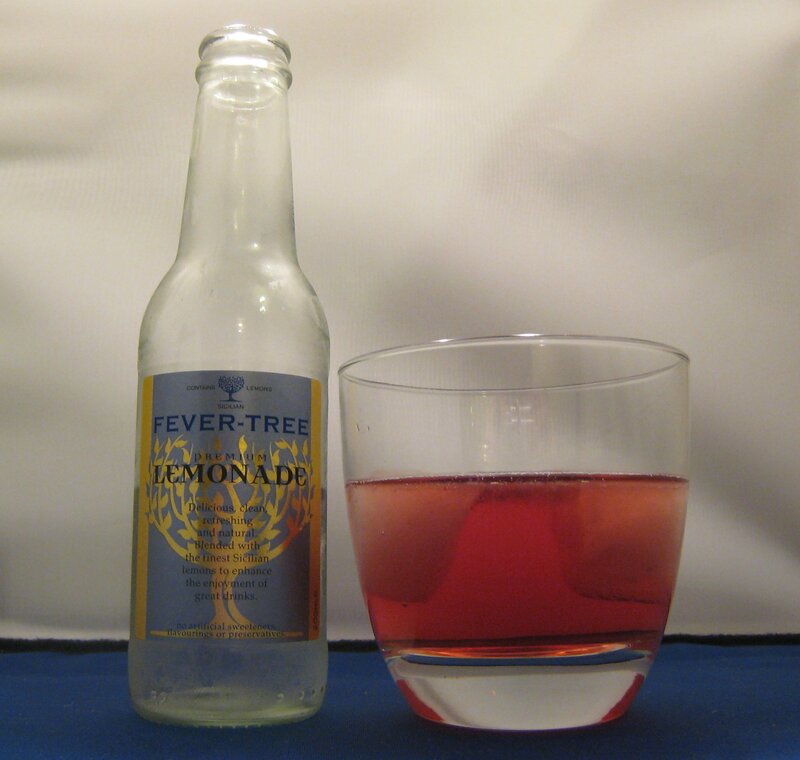 Fevertree Lemonade is carbonated, but it’s a distant cousin to the likes of 7UP and Sprite, which nonetheless do still have their place. With Fevertree’s Lemonade you can really taste the lemon juice and it doesn’t have any artificial sweetness that you may find with others; it is still quite fizzy, but it doesn’t leave you with that cloying feeling in your mouth. Fevertree’s Lemon Tonic (their version of Bitter lemon) is refreshing, but a little bitter; however, when you consider that it has quinine in it, it’s not so surprising. Once again, this is a departure from the sharp, sweet, and turquoise drink presented as bitter lemon by others and I believe it was renamed to take a step away from this image. But the most important question is how did they mix with sloe gin? After various tests, we found that Gordon’s worked best with the Lemon Tonic and probably made the panel’s favourite Long Peddler of the evening. SLOEMotion and Bramley & Gage Organic also mixed very well with the Lemon Tonic. The Lemonade was rather more surprising, I had never tried it before and wondered how well it would work. It created a lovely drink when mixed with the Lyme Bay Sloe Gin (this drink was my personal favourite). In the pairing, once again Bramley & Gage worked very nicely in a Sloe Peddler. In conclusion, I found that I enjoyed both the Lemonade and the Lemon Tonic, but I found that the Lemon Tonic went better with the bolder sloe gins and the Lemonade complemented the more subtle ones. So if you ever want a refreshing drink and you have some sloe gin to hand, why not try a Long (or Sloe) Peddler? After thoroughly enjoying the Tonic Tasting that I had the opportunity of helping to organise at Graphic Bar, I started wondering about what to do next. I’ve had an excellent suggestion regarding Ginger Ales (something that I will definitely pursue), but whilst perusing the Fevertree website, I became aware of their new Mediterranean Tonic, which has been developed specifically for vodka. This got me thinking about mixing vodka with tonic, or similar alternatives, and thus we came to test six such products, all mixed with Brannvin 1467, a smooth Swedish vodka. Originally, I thought that this was another new product, but, after speaking to a helpful lady from Fevertree, I discovered that this is essentially a re-branded version of their Bitter Lemon, specifically for supermarkets (the on-trade version will still be called Bitter Lemon). When served ice cold, this was really nice and had a taste similar to Sicilian Lemonade; it was rather tart and fairly bitter (it contains Quinine). Unfortunately, when mixed with the vodka, it lost most of its flavour and didn’t make a very refreshing drink. Being a rather lurid aquamarine, this was strikingly different in appearance to Fevertree Lemon Tonic. In addition, it had a nose somewhat like orange pith. To drink, it was quite sweet, but rather bitter at the end; it was less refreshing than Fevertree’s version and tasted more artificial. However, I did really like this when it was mixed with vodka. In conclusion, this wasn’t bad, but was a lot better when mixed. This is known in Schweppes’ ancestral home as Russian Wild Berries and was invented in the mid-1980s, created specifically to partner with vodka. It seems to have a small, but cult-like following among drinkers. I first encountered it during my last years of secondary school and really liked it; however, I’ve not had it for a few years. Russchian is a light pink colour, was very fizzy and had a berry flavour, which reminded me of blackcurrant Opal Fruits (Starburst). The tremendous fizz actually warms the throat somewhat, but was very refreshing when served chilled. When mixed with vodka, I thought that it gained some sickly characteristics normally associated with alcopops: it was too sweet and lacked balance. A new member of the Fevertree family and designed, like the Russchian, specifically for Vodka. It contains quinine as well as flavours of the Mediterranean coast such as lemon oil, thyme, geranium, rosemary and thyme. The flavour of this Mediterranean Tonic was a pleasant mix of tonic, lemonade and soda water. It was fresh, with little notes of herbs and spices and other savoury notes in the middle. When mixed with vodka, it added a freshness to the spirit that lengthens it; very good indeed. I think this a smart edition to the Fevertree range and certainly addresses a gap in the market. A familiar face to many, this came out very well at a recent blind tonic tasting at Graphic bar in Soho. Sweet with a short flavour, this was quite drinkable on its own. It made a good, standard vodka tonic that was smooth, easy to drink and not too fancy. On its own, this seemed cooler and was quite fizzy; it was bitter in the middle and rather clings to the tongue at the end. I thought that it needed a little more flavour. With vodka it was bitter, with a little citrus. It was cooling and moderately refreshing. Initially, it was not a great vodka tonic, but with a little ice-melt, it really improved. My favourite was certainly the Mediterranean Tonic with Mrs B. favouring Fevertree’s Lemon Tonic (Bitter Lemon) followed by the Schweppes Russchian. I enjoyed revisiting a drink and it’s associated mixers that I had tried in a long while and, for once, got me to think that there may be something beyond Gin.